Two first-half goals from Harry Kane ensured that Mauricio Pochettino's men came away with the three points at the John Smith's stadium. 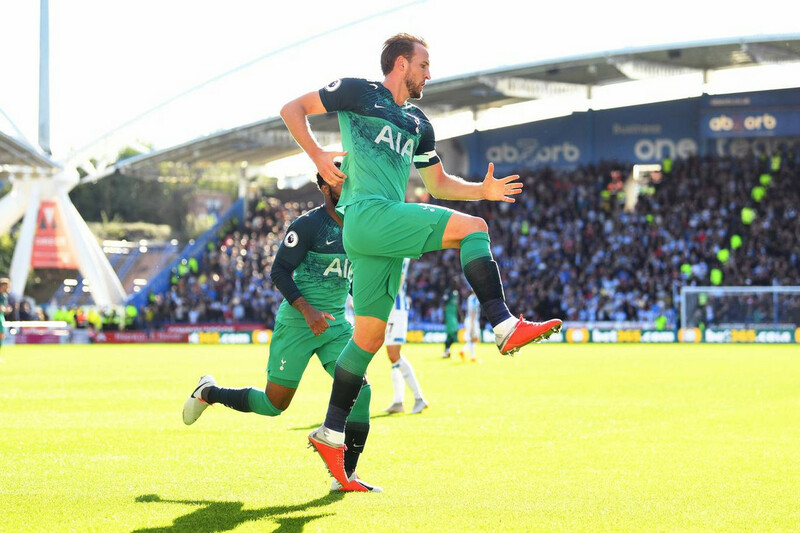 Two goals from Harry Kane sealed an important three points for Tottenham Hotspur away to Huddersfield Town on Saturday afternoon. Kane opened the scoring for the visitors in the 25th minute with a fantastic header, before netting his second from the penalty spot nine minutes later. The hosts tried to get back into the game in the second half but found very little joy from a well-drilled Spurs defence as the Lilywhites made it two straight wins in the Premier League. As you would expect being the home team, the hosts made a bright start to the game but it was the visitors that came close to opening the scoring on a couple of occasions on the break early on. The second chance though was an even better opportunity when a long ball forward from Toby Alderweireld saw Kane go through on goal but he was denied by Jonas Lössl, who was quick off his line to deny the English striker. Kane wasn't going to be denied for long as the next chance he got in the game he scored. The goal came from a Trippier cross which Kane headed brilliantly into the back of the net to give the visitors a deserved lead. It was, therefore, down to the hosts to try and respond and they almost got an equaliser when Chris Löwe unleashed a fantastic strike from outside the box which forced Paulo Gazzaniga into making a good save. Spurs continued to look for a second goal before half-time and they managed to get it from the penalty spot. The visitors were awarded a penalty when Florent Hadergjonaj, on as a first half substitute, was adjudged to have fouled Rose in the box. Kane stepped up to take the spot kick and calmly slotted the ball into the back of the net leaving the keeper with no chance. The hosts almost managed to get a goal back in first half injury time when Laurent Depoitre connected with a left-footed volley from inside the box but the ball came back of the bar with Gazzaniga helpless. It wasn't to be though as not long after that chance, the referee blew his half-time whistle with the home side having it all to do in the second half to turn things around. The problem that the hosts had was that the Spurs defence wasn't in the mood to give anything away as they made sure that they kept onto their clean sheet. In truth, the second half saw very little goalmouth action with Lucas Moura having Spurs' best chance to add a third but he was denied by a good Lossl save. The closest that the hosts came to getting a goal back was in the 75th minute when a brilliant strike from second half substitute Isaac Mbenza forced Gazzaniga into making a brilliant flying save. Spurs were comfortable throughout the game and were deserving of their victory which takes them into the top four. The hosts remain bottom of the table and in need of picking up some points very soon to move up the table before it's too late.